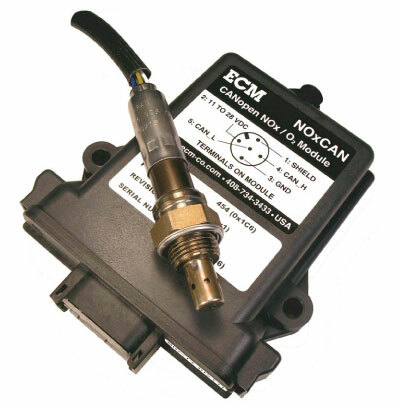 The ECM NOxCAN Module (NOxCAN) is a versatile and highly integratable NOx, Lambda, and O2 measurement module for the development of engines (e.g. spark-ignition engines) and combustion systems that can operate rich, at, and lean of stoichiometric, and their aftertreatment systems. 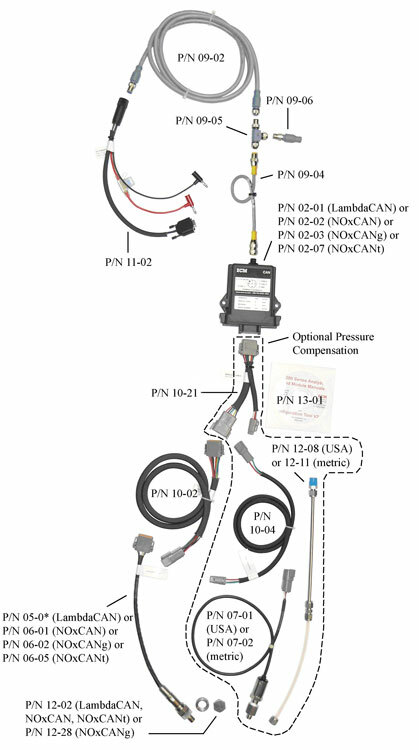 The NOxCAN uses a ceramic NOx sensor that is mounted in the exhaust of the engine and communicates measured NOx, Lambda, O2, and all sensor parameters via its CAN port. 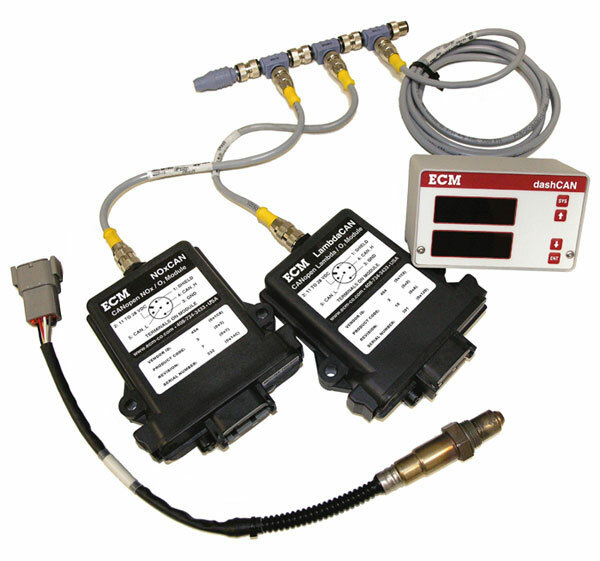 Although designed as a measurement tool, the NOxCAN can be easily integrated into an engine or aftertreatment control strategy. 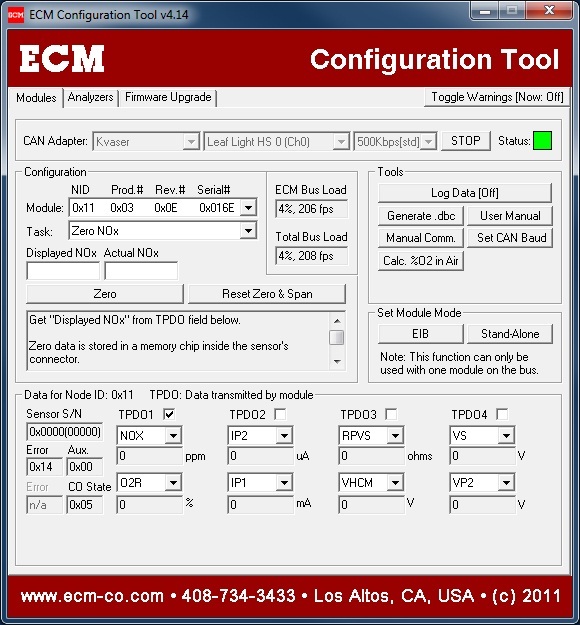 The CAN node identification can be programmed by the user allowing multiple NOx modules on the same bus. Fuel H:C, O:C, and N:C ratios can be programmed. 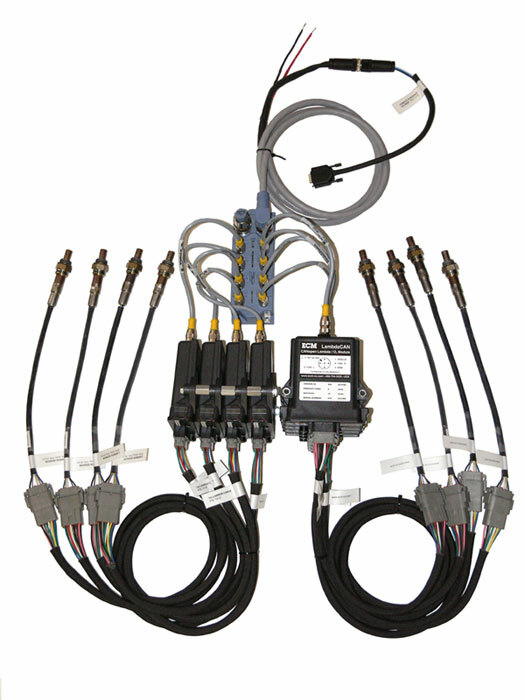 NOx sensors used with the module have memory chips in their connector where calibration information is stored. 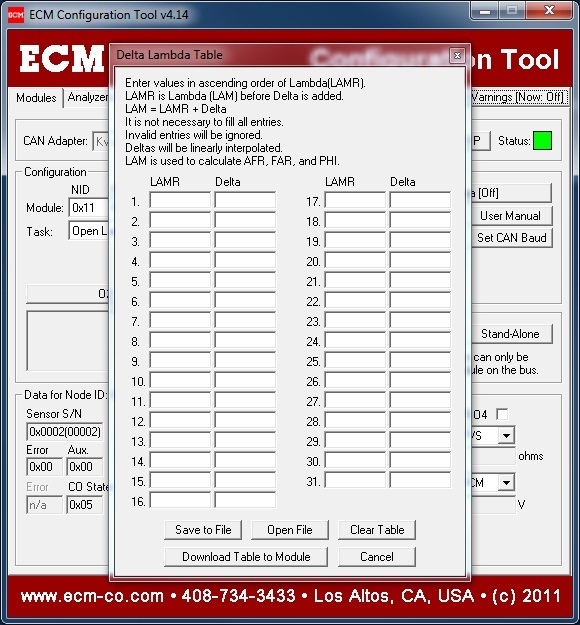 This allows the sensors to be recalibrated (zero, span) in a central location and distributed to users, ensuring consistent results throughout a large test facility. PC software to set-up, control, calibrate, and view outputs and sensor parameters is included (requires CAN adapter, not included). 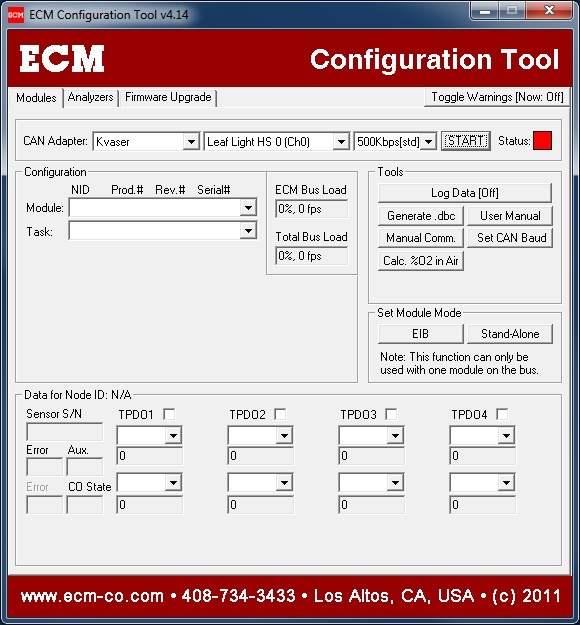 Two optional display, one with programmable analog outputs, are available. 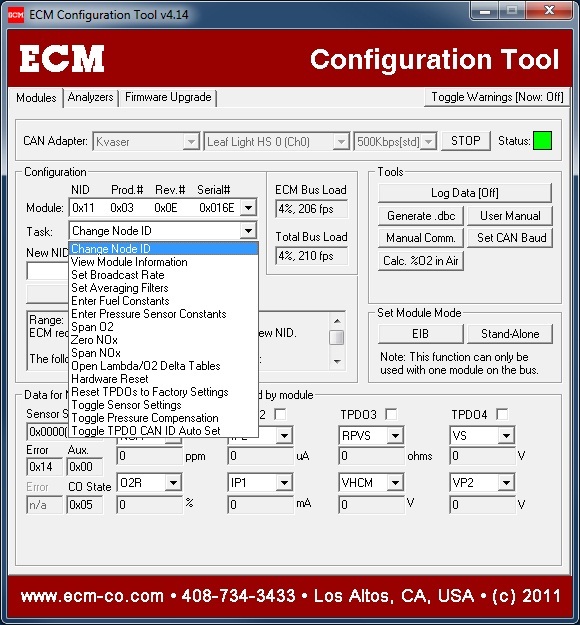 These displays can be used with one or two modules. NOxCAN was ECM’s first NOx module and has been upgraded by the NOxCANt. It is recommended that users of the NOxCAN use the BTU200 sensor heater. For applications where a 12V power supply is used, a Vboost Power Supply (P/N 04-02) is recommended. This raises the voltage supplied to the sensor to 24V where its temperature can be better controlled.